Buffalo and Rye has been in the works for a little while now. The latest stablemate in the Bitters and Twisted family, there have been whispers of a whisky joint opening in Birmingham since summer. Finally, I was lucky enough to be one of the first few people to experience Buffalo and Rye. Buffalo and Rye is a whisky and American food joint, complete with cocktails, burgers, ribs, hotdogs and pancakes. We got to try out food, and drink, and even watch a mini cocktail masterclass in action. Tom, the General Manager, was the first to welcome us into the venue. Smaller than any other Bitters and Twisted venue, Buffalo and Rye is located right next door to sister venue Bodega. The interior heavily features wood along with plenty of quirky touches such as the 60's futuristic bar stools and mini Star Wars figurines, as well as Americana inspired soda cans and an overall industrial feel. As a welcome we chose a cocktail each from the Elderflower Fizz mocktail (I chose this one and loved it, very refreshing) and a Mountain Dew Collins. I really wanted this, because I used to love Mountain Dew! In addition to cocktails, we were able to try a wide selection of dishes on the menu including the Buffalo Black Burger Kale and Butternut Squash salad, Pimp Doggy, Pancakes with Maple Syrup and Bacon, Pancakes with Blueberry Jam, Maple Syrup and Clotted Cream, Pancakes with Caramelised Bananas, Cinnamon Toffee Sauce and Chocolate Sauce, Buffalo Chicken Wings, Chilli Cheese Fries, Parmesan and Truffle Oil Fries and Smoky Beans. First off, we tried the Buffalo Wings. I have to say, I don't normally eat wings but I made an exception for these. Thankfully, they were neither too messy nor too spicy for my taste. So often, wings are crazy hot, but these were just the ride side of spicy and there was Pip's Hot Sauce on the table ready for anyone who needs a little extra kick. The sauce was flavoursome and the wings were generously sized. Next, the hotdogs. Sadly I didn't try these but here's a picture for you; very American right? The chilli fries topped with cheese were heavenly. Don't think of the calories, but what a treat when you do fancy a blowout. There was plenty of sauce and lots of french fries buried underneath too. Smoky Beans, a combination of beans and pit meat, was delightful and full of rich smoky flavours. How about a double beef patty with black pudding wedged in the middle and smothered in cheese, sauce and onions? Sounds like it shouldn't be allowed to taste good, but oh boy, this was unexpectedly fabulous. I don't even like black pudding, but in this guise I was so sold. For something completely different, we also tried a Kale Salad. Unbelievably, I thoroughly enjoyed this. Perhaps I was feeling guilty. As well as kale there was also chickpeas, roasted butternut squash, pine nuts and feta cheese in this dish. This was healthy and super tasty too, and I would definitely order this again. Out came a whole host of pancakes so we could try the brunch selection. If you're having a lazy weekend, I can imagine this would be fantastic alongside a bottomless coffee which is also available at just £1.75. Finally, the cocktail masterclass. We were shown and then able to taste, the Apricot Smash and Bourbon Honey Mule. I tried the former, mainly because it has apricot jam in it. This was pretty strong and definitely for whisky lovers. The Bourbon Honey Mule was slightly sweeter, with Angostura bitters and ginger beer. Buffalo and Rye don't take bookings for groups of under six, but they do offer you a discounted drink at Bodega if you're waiting for a table. Buffalo and Rye is located on Bennett's Hill. Style Birmingham Live 2015 was held on the busiest weekend in the city's history. Ok that may not be a fact but it felt like it. On the same weekend that saw John Lewis and Grand Central open, the Birmingham Weekender, Rugby World Cup Fanzone and matches and more happening, I decided to take the stylish route and visit Style Birmingham. Hosted by Mark Wright and stylist Mark Heyes, Birmingham Museum's Gas Hall was turned into a catwalk showcasing the best of AW15 trends. There was also a hair tutorial demonstrated by Francesco Group hairdressers, where hair grips were used to create a head piece. Not only did I get to watch the catwalk show, but I also visited the Backstage Beauty event at House of Fraser to see Amy Conway, Bobbi Brown Pro Artist for the UK and Ireland present her makeup masterclass. Style Birmingham was so much fun, I can't wait for next year! Guess what? 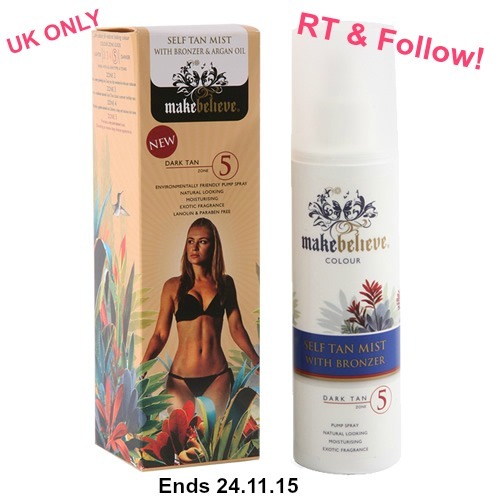 I'm running a competition to win this Make Believe Self Tan Mist RRP £14.99 on my Twitter. Simply Follow @BellaRobot and Retweet to win! The competition is open to UK residents only and the winner will be drawn on Tuesday 24th November 2015. The Liquor Store opened in Birmingham's Great Western Arcade back in 2012 and stocks quirky brands such as Redwing, APC, Filson and Norse Projects. Not content with just one store, the team decided to open a second womenswear store recently too. 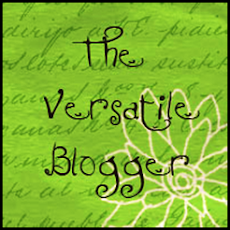 I was invited to the launch and met up with some lovely bloggers to take a sneak peek. An independent store, The Liquor Store is known for it's selection of denim and hard to find clothes and journals. There are too many brands to mention stocked in the store but they do stock A.P.C, Levi’s, Lee, Folk Clothing, Levi’s Made & Crafted, Palace, YMC, WoodWood, Filson, Edwin, Nudie Jeans, and Red Wing. The focus is on quality items that are affordable but not disposable. This isn't fast fashion and many of the brands stocked are heritage brands with a story. Bodega is one of Birmingham's hottest hangouts, and it's not unusual to hear people suggesting dinner or drinks at the South American eatery. I've been here a few times for dinner, after work cocktails and even for New Year's Eve a while back. However, I most recently visited Bodega following an invitation from Bitters N Twisted to try out the new menu at a special blogger event called, Wrath: Feel the Heat. For a gluten free foodie, Bodega has left me feeling jealous in the past of the tasty burritos, tacos and nachos on offer that I sadly couldn't try. My go to dish has always been the chilli, but has Bodega come up trumps? The bloggers took over the entire downstairs area of Bodega, Sugarloaf Bar, on a giant table, and once we were all in we were greeted by Vicky from Bitters N Twisted and given an introduction by the GM. There were margheritas ready too, which is a great way to start off an evening. Next, it was buffet time. Out came a selection of dishes for us to try, some which were specially adapted to be gluten free and dairy free. We tried mango salad, Brazilian Xim Xim with Dirty Rice and Veggie Tacos as well as a chocolate cake and white chocolate and mojito cheesecake for dessert. Xim Xim was a new one for me, but turned out to be an African dish that was claimed by Brazilians. Mde with chicken and prawns, it's a nutty, curry like dish that tasted quite Carribbean to me and quite simialr to the Mo Bay Chicken dish at Turtle Bay. This was served with Dirty Rice which is flavoured with smoked paprika and was tasty and flavoursome without being overly spicy, as well as nachos (not gluten free!). I would definitely try this again. The mango salad was very fruity and sweet with a lovely raspberry vinaigrette and pumpkin seeds too. This was pretty healthy but also really, really, tasty. I finally got to try those tacos after all as Bodega now serves them in lettuce leaves for a gluten free option. We tried the option with black beans, avocado, sweet potato, pico de gallo and toasted pine nuts and this went down very fast! Onto desserts, there was a very rich chocolate cake that appears on the menu as Pastal de Chocolate Pegajoso. This was incredibly rich and I'd recommend sharing this dessert. The cheesecake was also pretty thick and although lighter in flavour, was still quite a mouthful. The cheesecake is not gluten free but I did try the top, but I was so impressed to see that are now two gluten free desserts on the table, which is very impressive. There were also plenty of traditional South American drinks on offer including Margheritas, Caipirinhas, Mojitos of course and even a Peach Sangria. Marcel gave us the rundown on Mexican spirits, how mojitos cured scurvy, and on some of the 50 different types of tequila available. If he's around when you visit next, ask Marcel for the stories behind Cachaca and Tequila, I wouldn't want to hand out spoilers! With not a burrito in sight, I was surprised to see such a variety of dishes on the table that were so different to what I had imagined. The new menu is to me, a real improvement and adds some variety to traditional dishes. I'd like to think that people are getting used to South American food and are ready to try more and be adventurous. From a gluten free perspective, the menu is a real improvement and offers a lot more choice. The Xim Xim was a standout and there is much more provision to adapt dishes, such as the tacos, which is great. I for one can find it frustrating that dishes which are easy to adapt are often off the menu because of the inclusion of something which could easily be changed. For example, I'm happy to eat tacos in a lettuce leaf rather than not at all and this opens up the choices on offer for gluten free diners too. Bodega, I'll be back and I won't be eating chill next time...I may even try the peach sangria again too. *I was invited to dine as a guest of the restaurant. With thanks to Vicky at Bitters N Twisted and Brumderland.